Come join us on one of our guided hikes (listed below) or stop in at the Visitor Center (round building to the left of the parking lot) to pick up a trail map and start your own journey. There is no admission fee to explore the property, but donations are appreciated to help us maintain our trails. 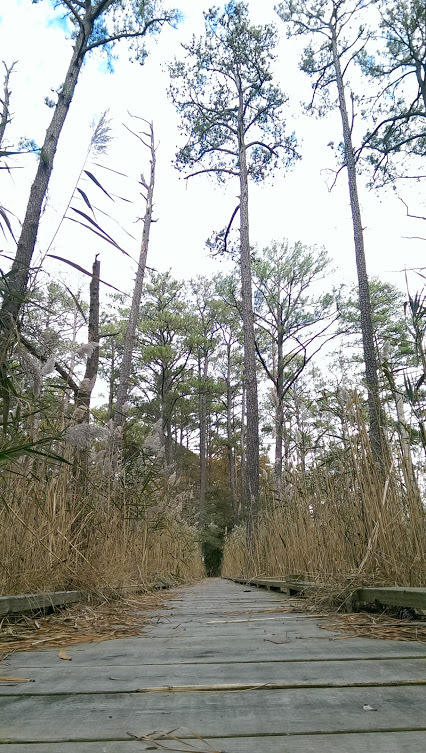 Walk around our ponds, see and hear native wildlife, and take in beautiful views from observation decks and blinds on each trail! QR codes are posted on signs. Use a BarCode Scanner App while you are hiking, and you will be able to link directly to the below pages for more information and photographs that may help you to find your way on our 510 acre campus. 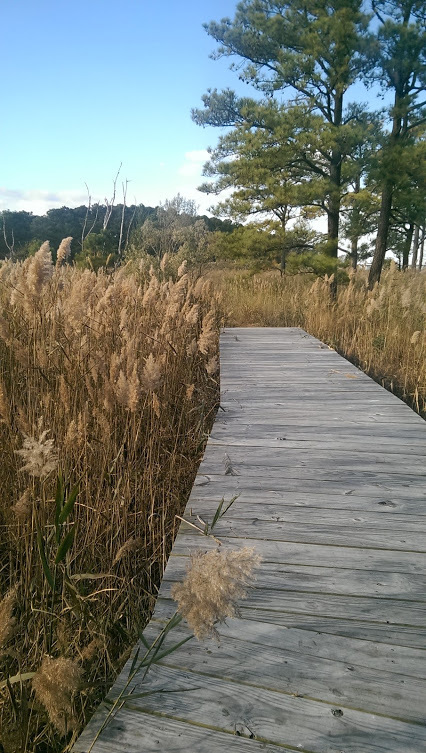 Join us for a guided hike on CBEC’s 510 acre peninsula for this unique opportunity to discover some of the natural features and treasures found on our property. 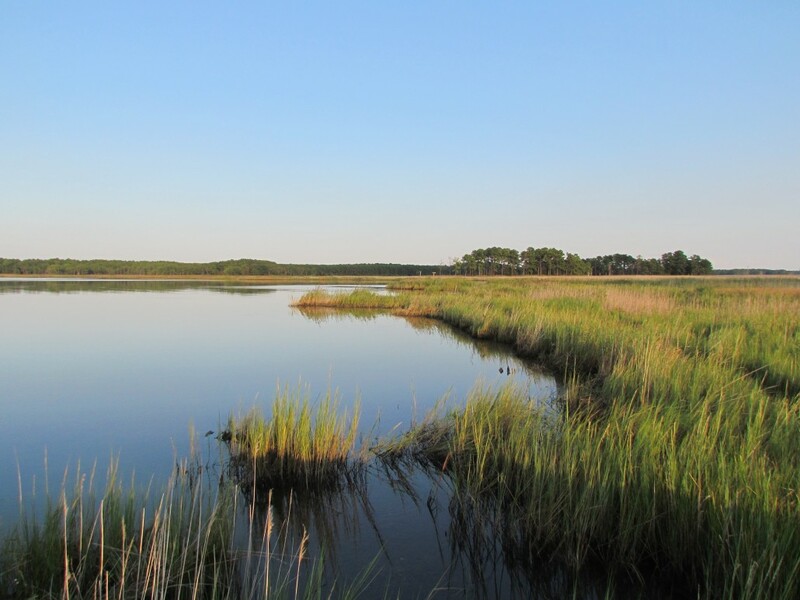 A docent will lead participants on a journey to explore topics of Hummock Succession, Oyster Reef Ecology, Salt Marsh Plants, Lake Knapp Bird Residents, Tree Identification, Resident Raptors and many other topics. 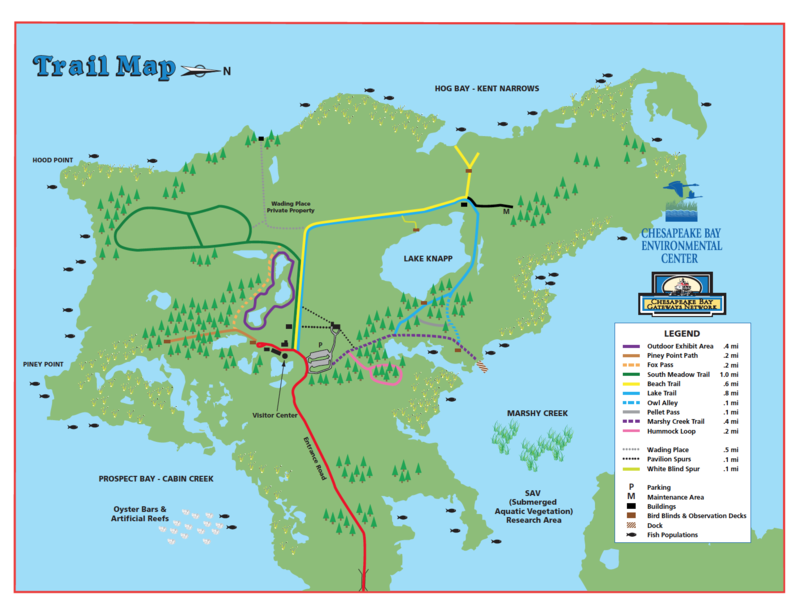 Most hikes will experience walking a 1.5 mile flat path around the center of our 510 acre peninsula. Many hikes will have a rest stop with restroom accessibility. Participants are encouraged to dress for weather and bring along a water bottle, small snack, and binoculars. Duration is approximately 2 hours. Trips are subject to cancellation due to weather or low enrollment. Check-in and hike begin at the Visitor Center. Pre-Registration is required as there is a minimum and maximum for this trip. Saturday, April 6, 9 a.m. to 11 a.m. Birding CBEC. 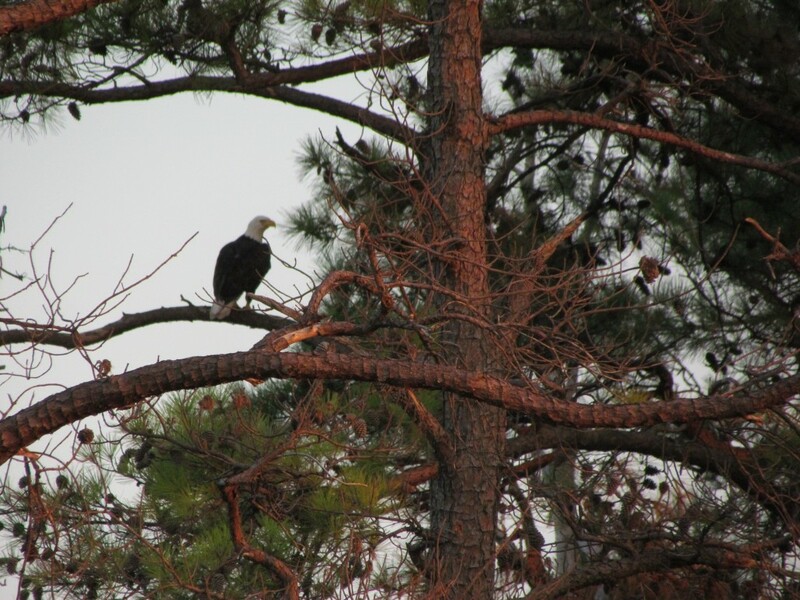 Join 17-year old Jack Pearse, avid birder and participant in the World Series of Birding on a walk around CBEC to view the bounty of birds migrating through and inhabiting CBEC. 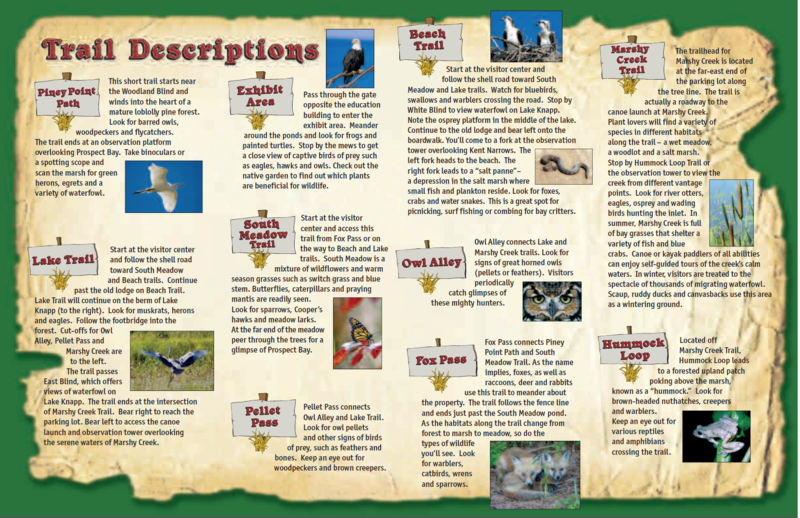 Birders of all levels are welcome from first-timers to experts. Bring your binoculars. CBEC will provide binoculars for those who don’t have their own. Give your physical, mental and emotional health a boost with this Forest Bathing Guided Hike! Join us for this unique opportunity to appreciate some of the natural features and treasures found on our property. Along our journey, we’ll practice “Shinrin Yoku,” a mindfulness approach that helps us deepen our engagement with nature through attentiveness, noticing, silence and stillness. With a Meditative Facilitator serving as guide, we’ll pause along the trail to immerse ourselves in each habitat experience. 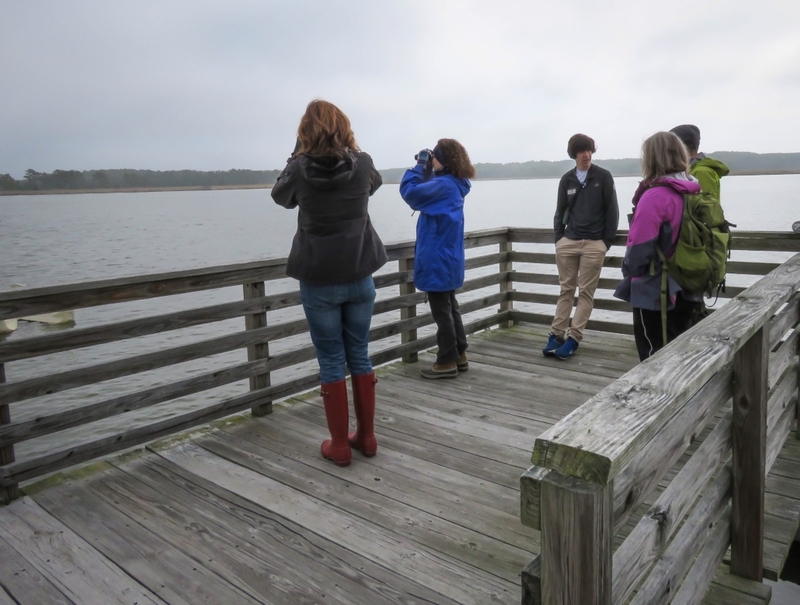 Join 17-year old Jack Pearse, avid birder and participant in the World Series of Birding on a walk around CBEC to view the bounty of birds migrating through and inhabiting CBEC. 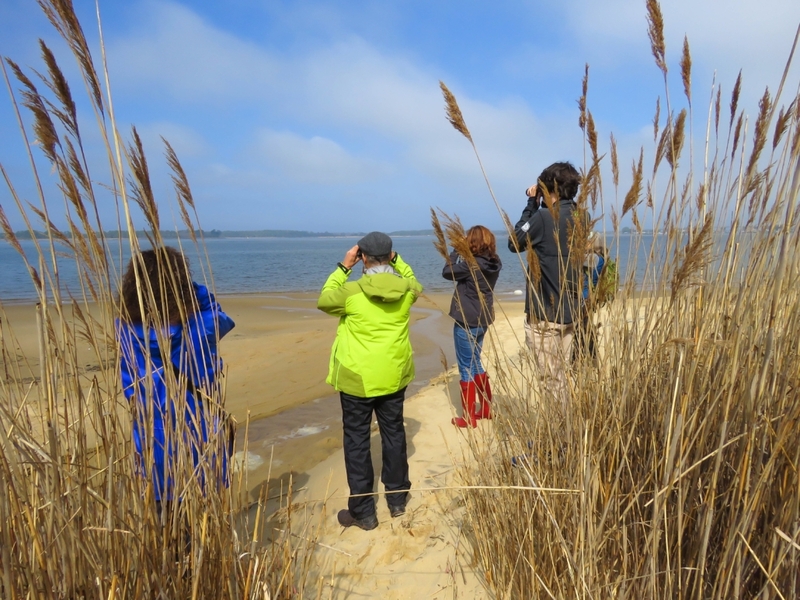 Birders of all levels are welcome, from first-timers to experts. Bring your own binoculars, or borrow a pair from CBEC. If you haven’t gone birding with a 17-year old birder, you haven’t gone birding!